There's an ongoing craze at Rockwell's Power Plant Mall that is causing people to fall in line all day, any day of the week. It's not another ramen joint or pork bun joint, this time it's for those caring for their sweet tooth! 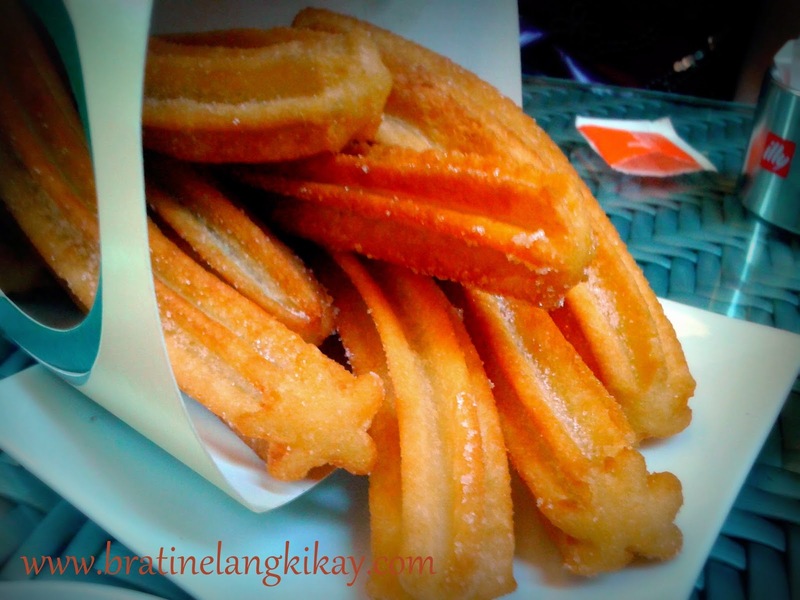 It's easy to spot where the commotion is for what is now dubbed as "best churros in Manila". Just follow the long line at the ground floor and you will find Chucherria La Lola. They cook their precious churros while customers watch which builds the anticipation even more. Served fresh from the frying bin, it's perfect especially when dipped in chocolate which you can order separately. 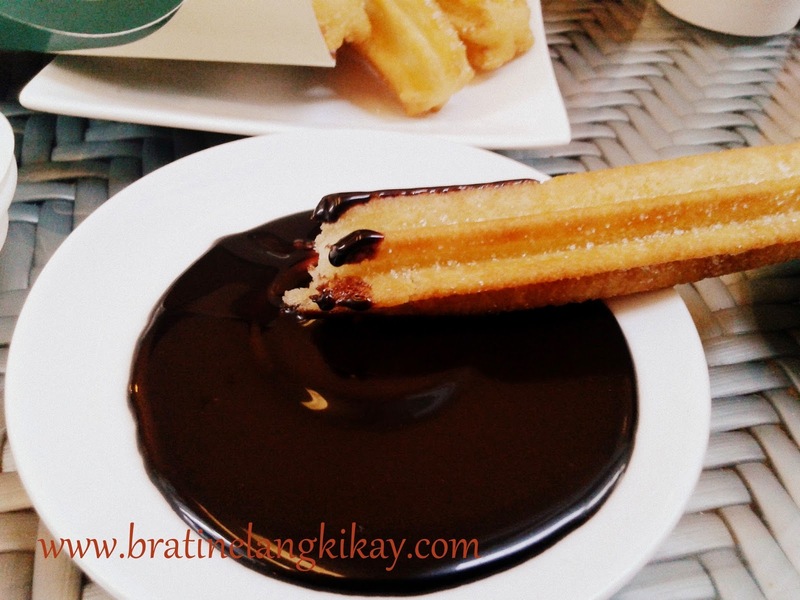 Churros dipped in hot Belgian chocolate, how's that for dessert? The little nook opened in December 2014 and quickly got popular with their crispy (but a wee bit oily) churros, I also think the churros are too thick (compared to Dulcinea's slim version) hence it holds more oil. Churros Classicos (just the plain churros) sell at Php110 for 6 pieces, Php195 for 12 pieces, and Php275 for 18 pieces. The Belgian chocolate dip can be had at Php60 for medium, Php100 for large cup and Php135 for an XL cup. They also serve stuffed churros called Xuxo with fillings choices such as nutella, strawberry, peanut butter and chocolate.